> Did you know the Lamborghini Diablo uses Nissan headlights? Did you know the Lamborghini Diablo uses Nissan headlights? Some of us might have come across stories of exotic cars that actually used the same lights from a lesser brand's model. Can it be true? 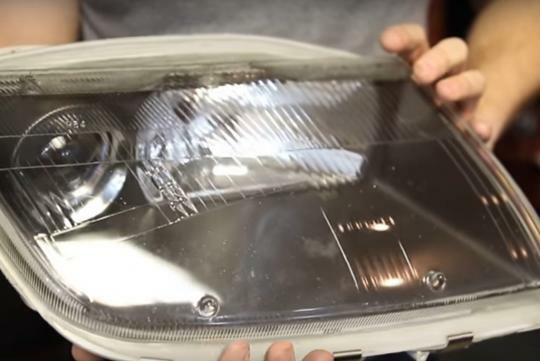 According to this Youtuber, it is true as he can show us how Lamborghini used the headlights of the Nissan 300ZX for its facelifted Diablo in 1999. Back then, Lamborghini was believed to have used the 300ZX's headlights as it was much easier than engineering their own part and getting the necessary type approval for the lights. For those who don't remember, the pre-facelifted Diablo used a pop-up headlight system which was deemed too old school and hurt the drag coefficient of the car. Watch the video and see how Lamborghini managed to hide the 'Nissan' words on the headlights for its Diablo. No single manufacturer is expert in everything. It often source for the items for various reasons: quality, value for money or technological advances. This is not only found in cars but also in many other products, most common being in the computer and audio-equipment. It's not surprising that in the mass production industry a lot of parts are outsourced to save cost. Back then there is less emphasis on headlights unlike today.